Since 1966, Solberg air cleaners have been manufactured with the dedication to providing superior pure air solutions to industries worldwide. Experts in filtration, separation, and silencing, Solberg offers the confidence and reliability of an ISO 9001:2008 certification, which means that all their products meet rigorous standards of quality control. Whether you operate a small pneumatic medical device in Nashville or a massive industrial compressor in Madison, A & W Compressor has the air cleaner to provide you the pure air to meet your individual needs. For more than 25 years, A & W Compressor has been providing Tennessee businesses with compressor products from reputable companies, like Atlas Copco, Champion, and Saylor-Beall. From Greenville to Bristol and beyond, we have the compressor products to help you finish the job. 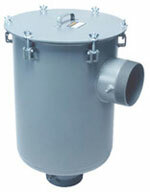 Call or e-mail us today, and ask about our Solberg air cleaners and other products from Solberg.